This is an unfortunate Anti-academic attempt, which is part of the larger RSS/BJP’s agenda to not to allow plural ideas to be taught to the students in the universities. The right wing academicians who demanded for removing the books said “his understanding of Hindu faith is wrong and there is no empirical data to establish his understanding’. While saying so they have not shown the basic academic ethic of reading my books. God as Political Philosopher is my Ph.D. Thesis, which is heavily referenced. It has nothing to with Hindu faith. Post Hindu India is a book of massive data base from the village communities’ production knowledge and scientific experimentation process of various productive communities. Those who do not have any understanding of village production relations hardly understand that book. Unless they get back to the village life and study the production relations and they say it is anti-something or the other does not make sense. It is published by Sage an internationally reputed publishers. They cannot rubbish my research work of 10 long years. Why I am Not a Hindu is known as a classic, being taught in many universities in the West and India. The Hindutva forces are opposing teaching and reading of this book in many countries—including in the Columbia University US. Scholars such as Lise McKean, Linda Hess, Eliza Kent etc., recommend it as an introduction level reading material on Hinduism. The Hindutva forces opposed but they did not succeed in removing it. The same forces are trying once again in DU. The same forces are asking for inclusion of Savarkar’s book “ Hindutva-Who is a Hindu? and Golwalkar’s book ‘Bunch of Thoughts’ to be taught in the universities. Are these books referenced? Is there empirical data in these books? While their right to ask for what they want to teach is part of their academic freedom but asking for removal of other books that they do not agree with is Anti-academic and destructive. Universities are meant for teaching and debating diversified ideas, concepts. Hundreds of thoughts must clash there. Universities are not theological institutes where only one religious ideas are taught. The MHRD must not allow this kind of destructive un-academic processes to continue in DU and also in other universities. I appeal to the academic fraternity to fight this trend in the nation and protect the academic freedom and autonomy. 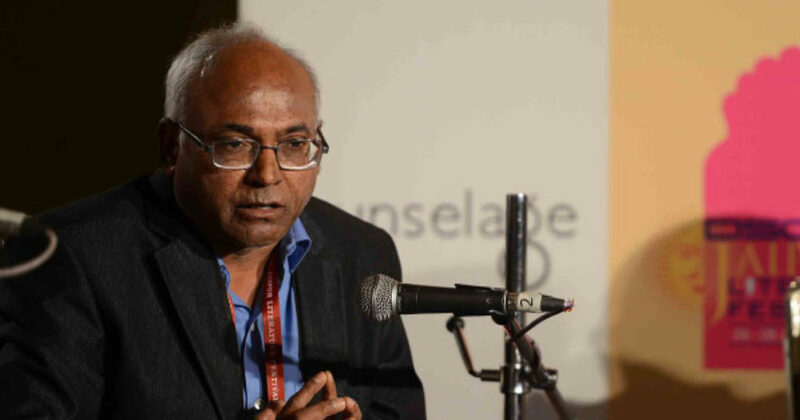 Prof. Kancha Ilaiah Shepherd is Chairman T-MASS and political theorist. At least you are not thrown in prison for your views as happened to my parents’ friend Howard Fast. … We all must fight and continue to resist! I do know about what it is. When I was fighting against racism and was thirteen years old, I was spit on and sworn at by white supremacists. How scary is that for a girl? It is very frightening, but I was out the next day doing the same action. It seems that Indian intellectuals enjoyed more freedom under British rule while engaging in debates over religious beliefs and customs. In the early 19th century, Rammohan Roy dared to challenge Christianity (the religion of the ruling colonial rulers) – not from the orthodox Hindu position but from an agnostic viewpoint, and engaged in debates with English missionaries. All through the main part of the nineteenth century, the Bengali academic scene was marked by interesting debates in both Bengali and English journals over the virtues and vices of the three main prevailing religious faiths in India – Hinduism, Islam and Christianity. These journals and the meetings in public halls that used to take place, were easily accessible to the students as well as the common people, allowing them to make their choices. One of these students chose to convert to Christianity, in order to break out from the suffocating constraints of his Hindu society. He emerged to be the great Bengali poet Michael Madhusudan Dutta, who composed `Meghnad-Badh Kavya’ which, contrary to the mainstream Brahminical and Kshatriya narrative of the Ramayana, valorizes Meghnad (Ravana’s son) who was surreptiously killed by Rama’s brother Lakshman with the help of a traitor from Meghnad’s family, when Meghnad was praying in his temple Nikumbhila. When Madhusudan’s epic-poem came out in 1861, instead of raising a murmur of protest, the then Bengali intelligentzia hailed it as a major contribution to Bengali literature. Still later, as a school-child in the 1940s, I remember reading it as it was recommended as a text in my school syllabus, and I was touched by the tragic tones in the narrative, which I thought as a child, reflected a fight between two families (a familiar problem in those days) rather than a Hindu religious conflict. Today, if `Madhusudan-Badh Kavya’ is translated into Hindi, or for that matter other India languages, the Sangh Parivar-led UGC will surely ban its entry into the campus – and set their gangs to lynch those who read it .